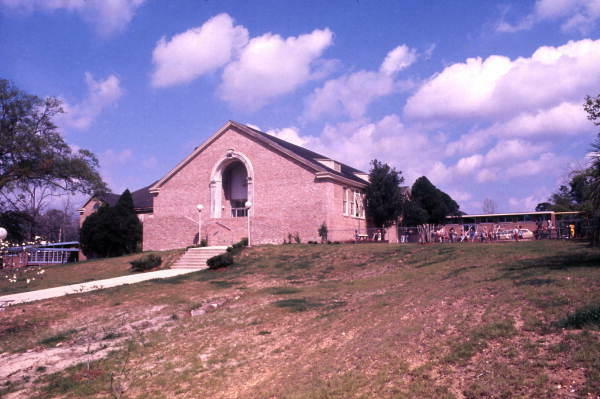 Old Lincoln High School in the 1970s. 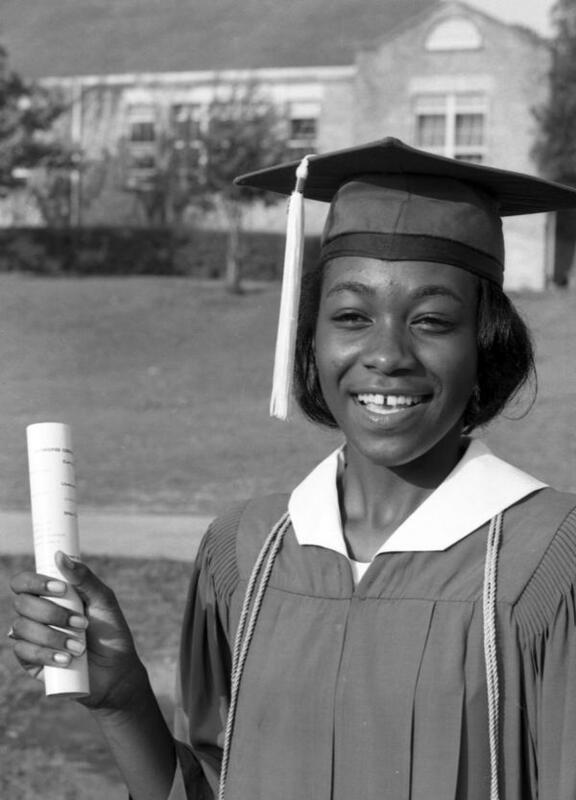 Lincoln High Valedictorian Leatrice White in 1966. 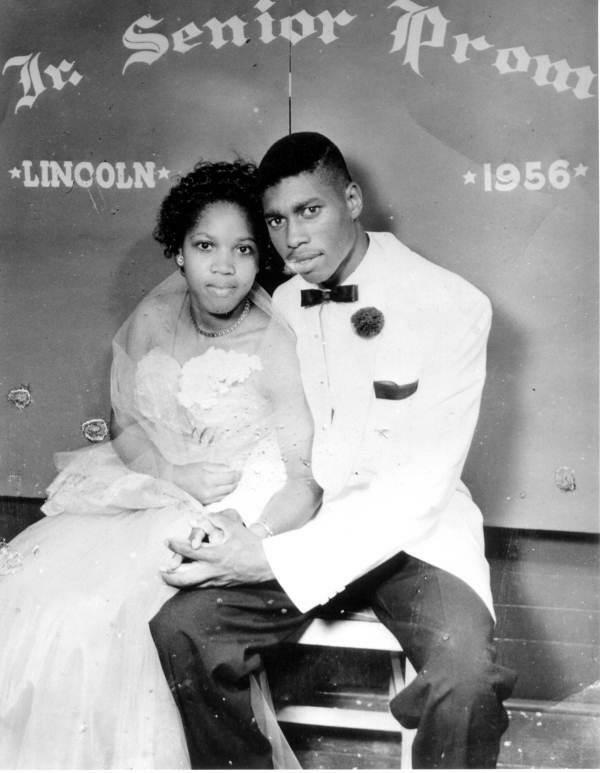 Barney Lockley and Laura Morris at the 1956 Lincoln High prom. 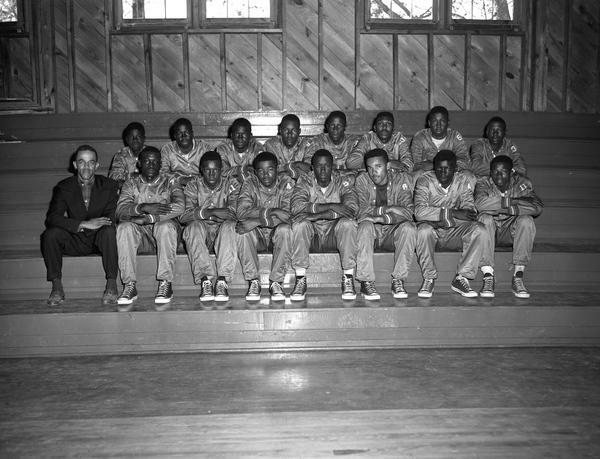 The 1956 Lincoln High basketball team. 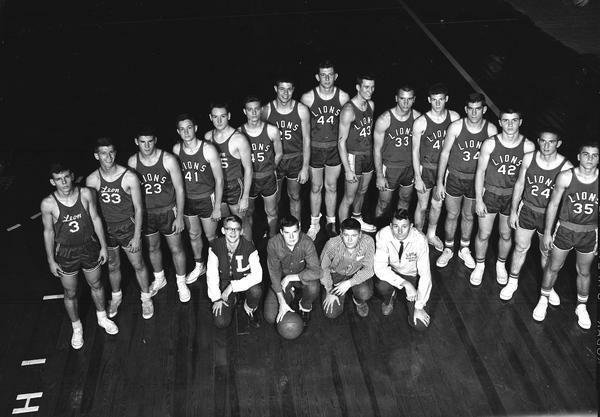 The 1959 Leon High basketball team. 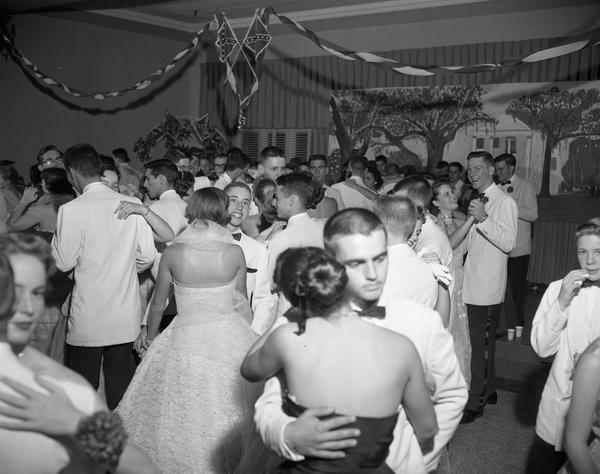 Couples dance at Leon High's Confederate Ball in 1956. 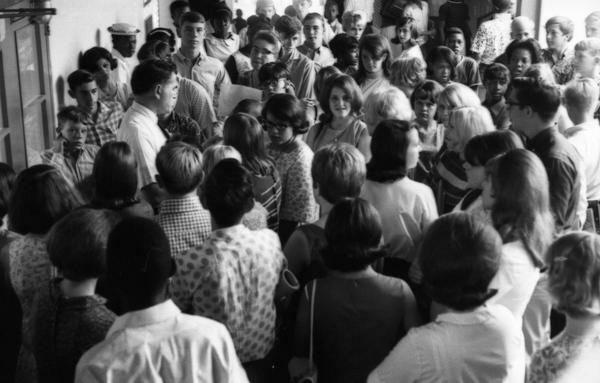 Rickards High School students look for a counselor on the first day of desegregated classes in the 1967 school year. Florida’s student body has never been more diverse. But the state’s schools are also becoming more segregated. A recent study by the LeRoy Collins Foundation shows a marked increase in intensely segregated schools, spurred by demographic changes and the rise of private and charter academies. To understand why these changes are happening, WFSU looked back at Florida’s attempts at integration. 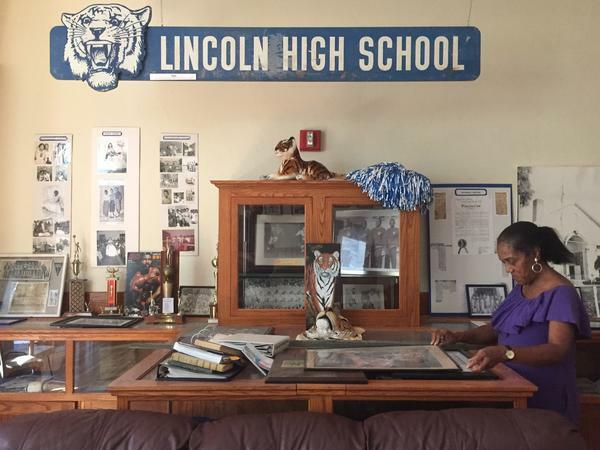 This school year marks the fiftieth anniversary of the closure of Lincoln High School, an all-black school in Tallahassee. Shuttering Lincoln sparked wholesale desegregation in the state’s capital. And it was a reckoning for Leon County’s students, teachers and administrators, black and white. Here are some of their experiences, 50 years later. Desegregation in Leon County schools began in 1962 when Elaine Thorpe entered Blessed Sacrament School. 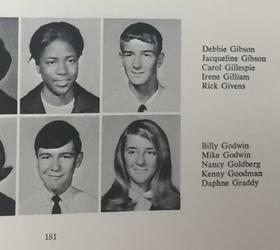 In 1963, Harold Knowles, Marilyn Holifield and Phillip Hadley followed, enrolling at Leon High School. That same year, Melodee Thompson enrolled at Kate Sullivan Elementary School. These students are now recognized as trailblazers and their struggles and achievements are well-documented. Less understood is the closure of the Old Lincoln High School on West Brevard Street in Tallahassee. 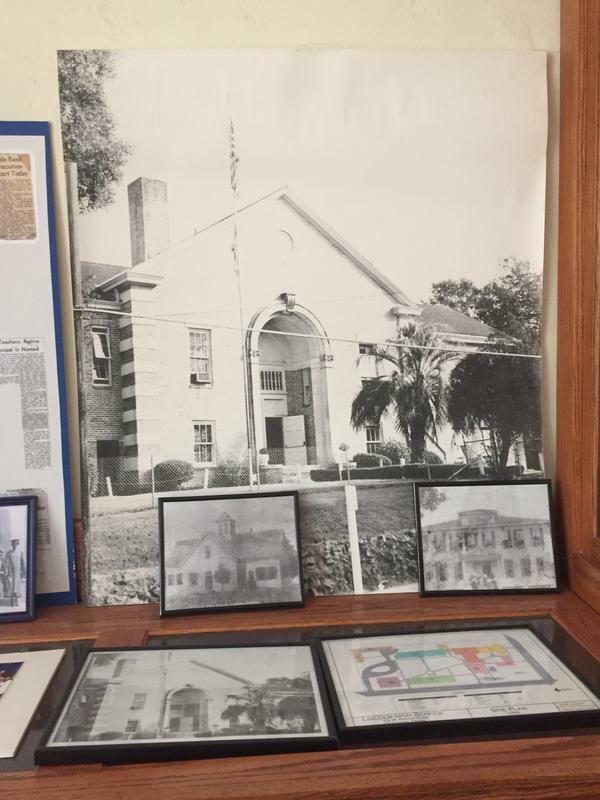 The school was a pillar in the city’s African-American community, a place of pride and opportunity, and also home to cultural and civic events. Closing Lincoln and the district’s other remaining all-black schools sparked sweeping changes for district policy, student relationships, and the standing of faculty and staff. The first students to desegregate led the way for those that followed, but the foundation for wholesale change was built in the 1967-1968 school year. Historian Glenda Alice Rabby details this time in her book The Pain And The Promise. “In early 1966, the U.S. Commission on Civil Rights conducted a survey across the South and found that only 5 to 7 percent of black children in the South were attending integrated schools…The 1967-1968 school year opened in Tallahassee and across Florida with more black children and white children attending school together than ever before." WFSU tracked down five people, students, teachers, and administrators, who were in the Leon County schools during this time to get their impressions. Irene Gilliam had her heart set on being a graduate of the Old Lincoln High School, just like her mother and her siblings. Her mother’s high school diploma was prominently displayed in the family’s kitchen. After Lincoln closed, Gilliam decided to enroll in Leon High School, even though she felt the threat of violence every day. She hoped to create a better environment for her younger siblings. 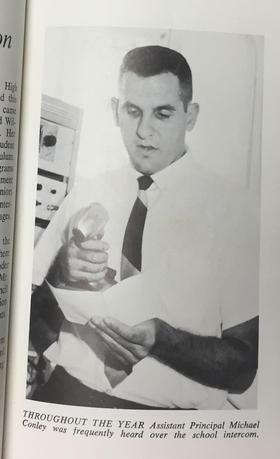 Gilliam ultimately joined the staff of the school paper, the Leon High Life. She published a letter to the editor in 1968 calling on the school to end the traditional of playing the song Dixie at pep rallies and football games. Listen to her read that letter below. Listen to Irene Gilliam read her letter to the editor in the Leon High Life. Althemese Barnes graduated from Lincoln High School before attending Florida Agricultural and Mechanical University. She later returned to Lincoln to teach music. She remembers the disruption of the school’s closure and says many of its faculty and staff found themselves without a job after desegregation. She says those that the district hired into other schools often saw a loss in status, like a high-ranking administrator being demoted to a coach. A part from the students and staff directly connected to the school, Barnes says the closure of the school had a great impact on the black community as a whole. Listen to her talk about the toll of lost opportunities, lost leaders and the pain of starting from scratch below. Listen to Althemese Barnes describe how the closing of Lincoln tore at Tallahassee's black community and its lasting effects on what young people believed was possible. Mike Conley worked at Leon High School for over two decades, first as a teacher and later as an administrator and principal. He says the school’s policies regarding clubs and students activities didn’t change much when the first three students integrated. It wasn’t until larger numbers of black students enrolled that administrators were forced to reckon with club membership and inclusion. Conley struggled with responding to the concerns of white parents while trying to create a fairer system for all students. He says schools will always breed tension, friction and disagreements just by the nature of having so many young people under one roof. On the whole, he says he has no regrets about how he handled what he called “the unsettled years”. Listen to Conley describe the policy changes around student clubs below. Listen to Mike Conley describe the policy changes on student activities. 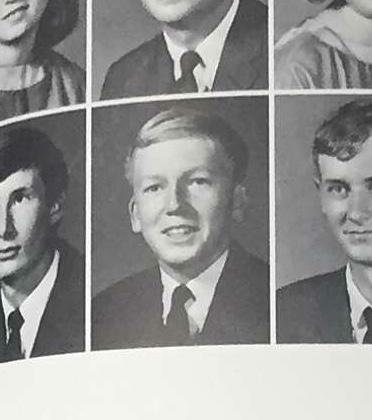 Bill Mattice is a 1968 graduate of Leon High School. His parents were "Kennedy Democrats" who favored integration and he thought of his upbringing as being more progressive than most. He says even if Tallahassee didn't have the public disturbances of other Southern cities at the time, segregation was still absolute, with very little interaction between blacks and whites. From his experiences, there were a handful of what he called bullies, white students who tormented the black students. But he says the vast majority of white students weren’t openly hostile, but also didn’t stand up for black students or reach out to them. Fifty years later, he wishes he had done more to welcome his classmates. As a white student, Mattice says he didn’t always realize how he was promoting racist traditions and ideas. He recalls how Leon High’s Anchor Club would host an annual Confederate Ball, where club members would crown that year’s Confederate general. Listen to Mattice describe the Confederate Ball below. Listen to Bill Mattice describe Leon High School's annual Confederate Ball. 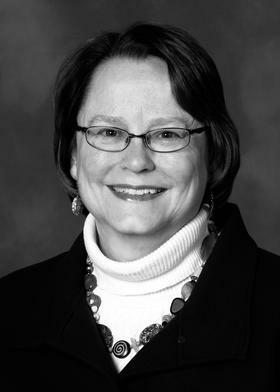 Ann Schierhorn grew up in Tallahassee and attended Leon High School and Florida High. She has striking memories of Leon’s Marching Redcoat band playing Dixie during pep rallies and football games. She says that even then she thought the school was holding on to traditions that threatened its diversifying student body. 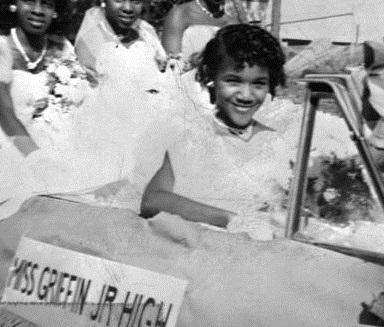 While at Florida High she met Elaine Thorpe, the first student to desegregate a Leon County School. Schierhorn heard of the bullying and taunting Thorpe had endured and said the conservation deeply affected her. Schierhorn left the South for college and ultimately became a journalist and professor, but said her experiences always stuck with her. In 2014 she published the stories of the pioneering black students who initially desegregated Leon County schools in the early 1960s. Listen to Schierhorn below describe segregated Tallahassee in the mid 20th century. Listen to Ann Schierhorn's account of segregated Tallahassee. Florida schools are beginning to re-segregate by race and income, that’s according to a new public policy report. Highly segregated schools are found in metropolitan urban areas of Florida, with the highest concentration in Miami. The study is from the Leroy Collins Center. And co-author Gary Orfield says schools with more minority students are getting fewer resources.